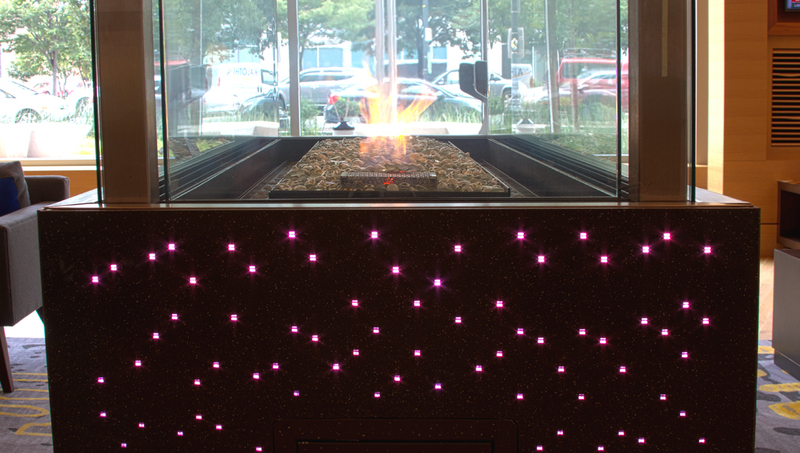 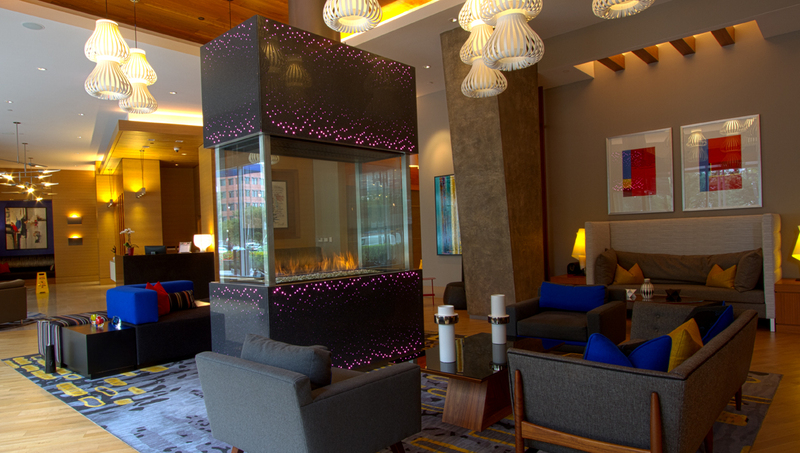 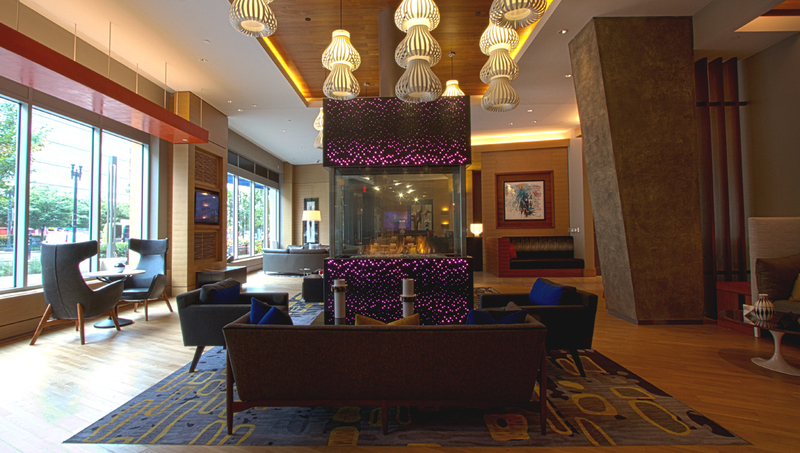 Hartman Design Group specified Sensitile Terrazzo Lumina to be used for a fireplace in a public living space. 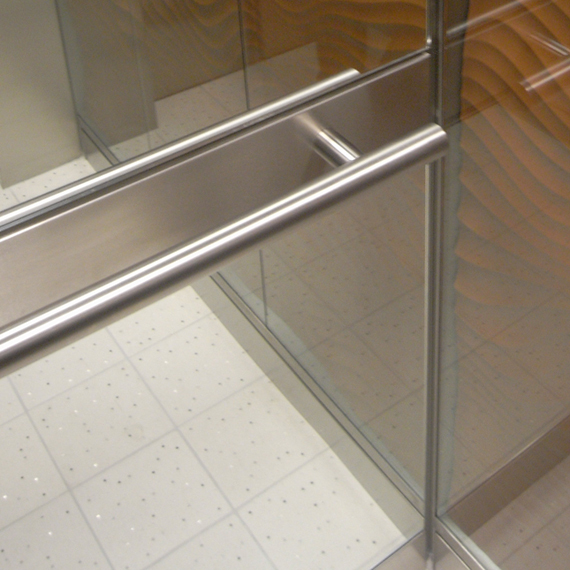 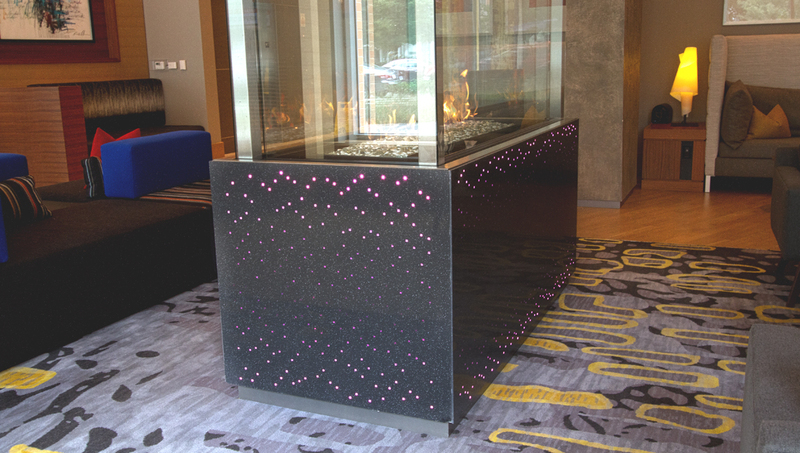 1-1/2″ black terrazzo slabs were manufactured for this feature and detailed with a miter corner in order for the slabs to be joined together. 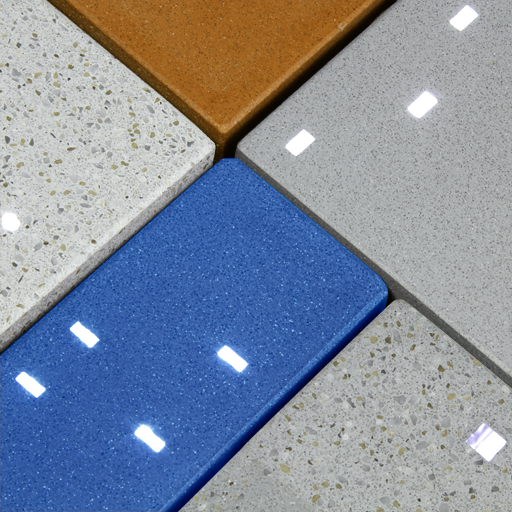 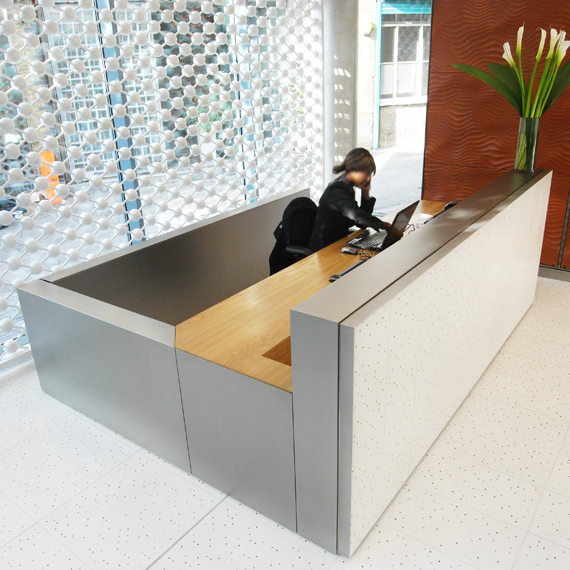 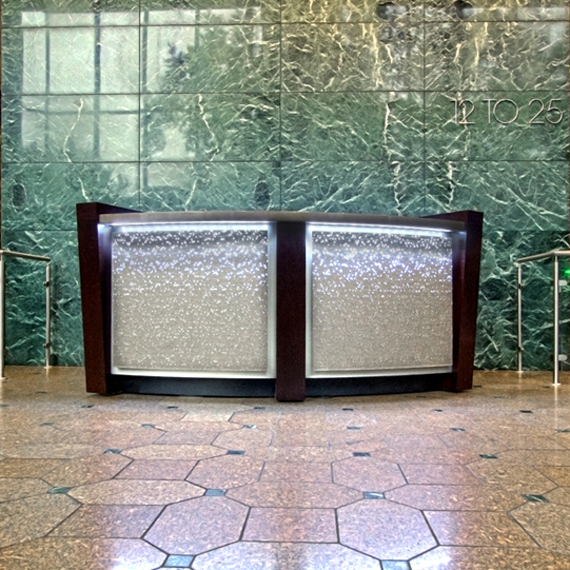 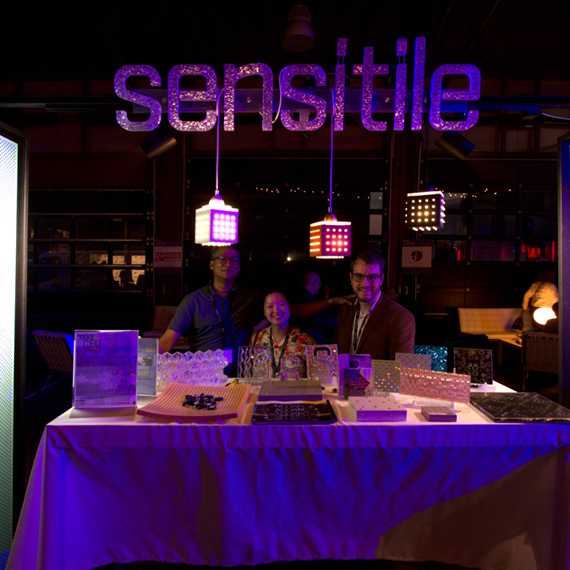 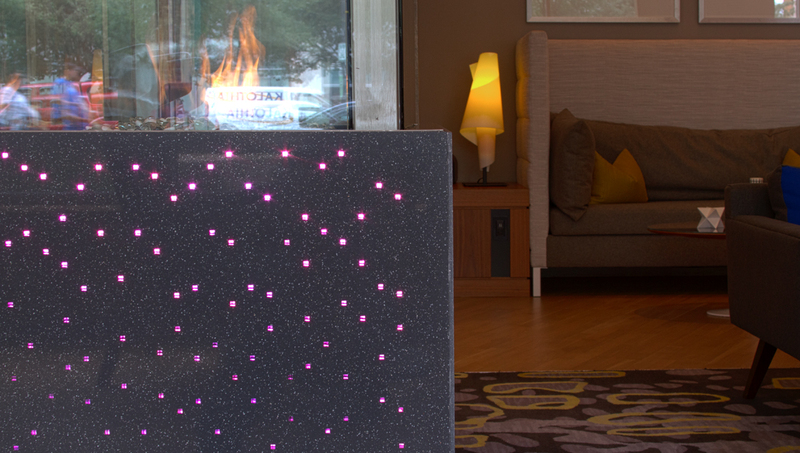 The Terrazzo Lumina slabs were fitted with RGB-W LED lights along the top and bottom edges.